On Monday, April 24, Steve Nunn, President and CEO of The Open Group gave a warm welcome to over 200 attendees from 24 countries at the ‘Smart Cities / Making Standards Work®’ event in Berlin, Germany. Making Standards Work® for Smart Cities focuses on how an architecture framework such as TOGAF®, an Open Group standard, can help administrations govern the introduction of smart systems to enable their citizens and businesses to thrive and prosper. The venue, Berlin Marriott, sits on the site where some of the Berlin Wall originally existed. In several meeting rooms, attendees were in the former East and West Berlin at the same time. Next on the stage was Don Sunderland, Deputy Commissioner, Enterprise and Solution Architecture, New York City Department of IT & Telecommunications, who presented Why It’s So Hard Getting Smart. Don discussed the challenges to smart cities. He also emphasized public & private partnerships plus innovative business models are essential for transformation. Government can’t do it alone. The initiative needs a consumer-driven focus. Services must target the ultimate city consumer – residents, visitors, workers – and must provide equality in delivery. Open standards and communications will accelerate the process. It’s all about the data. Steve Nunn then announced the launch of the ArchiMate® 3.0 Tool Certification. Three vendors have already been certified: Avolution, BiZZdesign, Modeliosoft. The theme of smart cities continued with Open Standards as Market Enablers for Smart Cities by Kary Främling, CEO, Control Things and Professor, Aalto University. Kary stated that in order for smart cities solutions to remain affordable and stay competitive, cities will need to adopt open standards and open platforms for their digital services. A Q&A with Kary on this topic can be here. The final morning plenary keynote was on The Role of 5G Technologies for Digital Transformation and Internet of Things in Smart Cities, with Thomas Magedanz, Professor of Electrical Engineering and Computer Science, Technische Universitat Berlin and Frank Schramm, Berlin Senate Department for Economics, Energy and Public Enterprise. To develop and progress smart cities, the objective is to optimize processes and resources within smart key application domains as well as across vertical domains. 5G is not only a set of new radio access technologies, but a radical new software based network platform based on programmable distributed data centers. The 5G technology should be commercially deployed globally in 2020. Standardization is happening now and trials will start end of 2018. All presentations were followed by Q&A sessions moderated by Steve Nunn. Afternoon track topics included Open Platform 3.0™, Security and Risk Management and ArchiMate®. Peter noted that attacks are getting way bigger and often are getting less homogenous. Furthermore, they are made up of devices with a different security performance. Products have minimal testing and also there is a major rise of connected consumer products. The evening culminated with a lively networking reception at the hotel. Tuesday, April 25, began with another warm welcome by Steve Nunn. Steve then chatted with Sally Long, The Open Group Forum Director, Open Trusted Technology Forum (OTTF). They discussed cybersecurity and supply chain while taking questions from the audience. Sally shared how government and industry/commercial entities are moving at a different pace, as are levels of security. Open Trusted Technology Provider™ Standard (O-TTPS) was also mentioned. This standard, if properly adhered to, will help assure against maliciously tainted and counterfeit products throughout the Commercial Off the Shelf (COTS) Information Communication Technology (ICT) product lifecycle. Sally recommends Internet of Things (IoT) providers should look to the standard as well. Furthermore, the international aspect of standards is critical. With the global economy, the number of touchpoints is staggering. Thus there is a tremendous increased risk of potential for tainted, mitigated, counterfeit goods. The OTTF, along with other Forums of The Open Group, continues to explore and evaluate best practices for security architects/practitioners. Sally is retiring after being with The Open Group for 20 years. We wish her all the best in her next life chapter and we will miss her greatly! Dr. Christian Zenger, CEO, PHYSEC presented The Internet of Things: In the Field of Tension between Simplicity and Security. Dr. Zenger discussed the history of the development of IoT. He stated secure digitalization of old and new products provides huge challenges. Secure digitalization of products needs digital connection of the production. According to Dr. Zenger, there are three steps to digitalization: analysis and study, implementation of prototype, and production roll-out. The final keynote of the morning was IoT and Cybersecurity by Tahar Schaa, Management Consultant, Cassini Consulting. Tahar’s outlook is almost every non-open standard based tech will disappear. The core challenges have to be solved not ignored. Global lack of very qualified people to evaluate the security of complex IT systems like IoT are increasing, resulting in changes which will affect everyone everywhere. Each keynote was followed by Q&A moderated by Steve Nunn. Afternoon tracks focused on Open Platform 3.0™, EA, Healthcare, Open Business Architecture and IT4IT™ in Practice. An open session by The Open Group Architecture Forum was also held. Topics were Digital Transformation, Capability Based Planning and Business Architecture Value Streams. The evening concluded with a private experience at The Story of Berlin, an exhibition museum that displays over 800 years of the capital city’s history. A delicious German dinner accompanied by live music was held in an underground nuclear shelter built in the 1970s…. a unique evening indeed. On Wednesday, tracks included EA & Agility, IT4IT™, Open Process Automation™. Presenters were from IBM, BASF, Deloitte Consulting, CC&C Solutions, Schneider Electric, BiZZdesign, NovaTec Consulting, APGM, ServiceNow, Yokogawa, BR&L Consulting, ARC Advisory Group, Siemens, ExxonMobil and HPE. The afternoon featured a TOGAF® User Group meeting moderated by Chris Forde, VP Enterprise Architecture and GM Asia Pacific, The Open Group, with panelists from The Open Group and Conexium. This meeting brings together TOGAF stakeholders and users to share information, best practices and to learn from each other. There are currently over 60,000 people who are certified practitioners of TOGAF, an Open Group standard. The final session of the day was Architecture in the Aviation Industry with representatives from Lufthansa, Capgemini, Air Canada and IAG. Thursday’s agenda was full with The Open Group Forums member meetings. 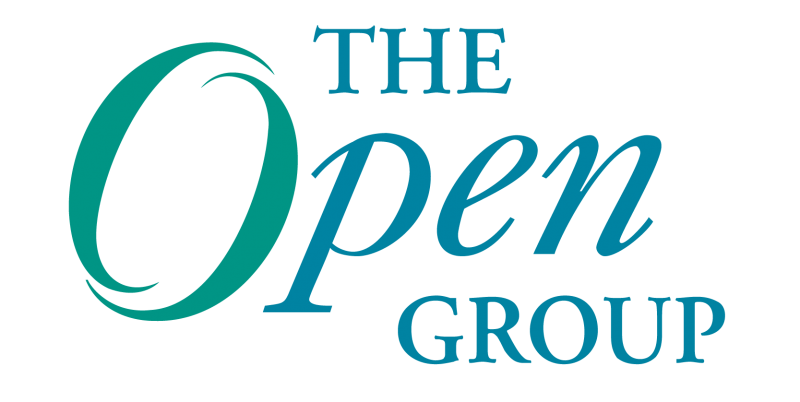 We hope to see you at The Open Group Ottawa July 17-20, 2017! Are the proceedings from the OPAS workgroup available for a short write up ? Hi Neil! Thank you for your interest in The Open Group Open Process Automation Forum. The proceedings are only available to event attendees and members. Please free to connect via email for any potential briefings, etc.